The Swoosh has been bringin’ essential street style for over 50 years! Starting on the track and the court, their iconic silhouettes have caught the attention of sneakerheads around the world. 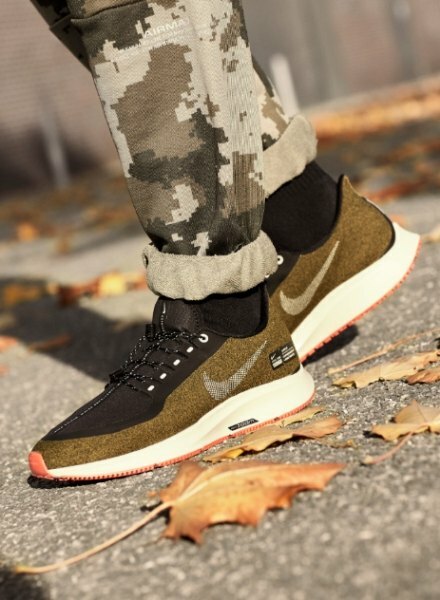 But with winter just around the corner and the weather taking a turn for the worst, how are we supposed to rep the iconic creps without turning them into beaters? Making sure you can keep stylin’ out your sneaks even in the worst conditions, Nike‘s dropped a range of winterised creps that are must cops this season! If you’re a fan of classic Nike’s but want them to last, then you need to grab a pair of the Air Force 1 Canvas sneakers. Switching up the typical leather upper, they use waxed canvas for a water-repellent finish to the ’82 essentials. Sat on a chunky midsole with encapsulated Air cushioning, along with a grippy gum outsole with circular traction, these creps will keep you steppin’ on all terrains, in all conditions. After something more futuristic? You love your Air tech, but when its wet, cold and muddy outside it’s a risk to be reppin’? 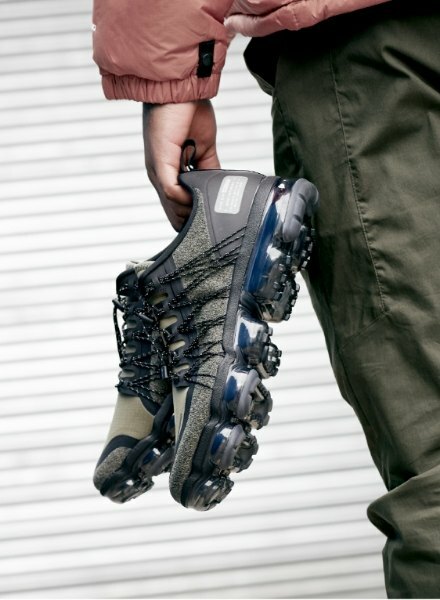 Then check out the Air VaporMax Run Utility. With ground-breaking VaporMax cushioning, they give you responsiveness in every step and the true feelin’ of walkin’ on Air. Refreshing the upper, these trainers are made from durable textile that’s water-repellent and built to take on the elements. With synthetic support and visible Flywire cables to keep you locked in, they’ll have you covered this winter. If you love everything Nike but really want performance levels to stay high this winter, then you should check out the Air Zoom Pegasus 35 Shield and Renew Rival Shield sneakers. Givin’ you the same performance as their OG silhouettes, these creps come with a water-repellent textile upper that keeps out the elements. With Zoom Air tech keepin’ you cushioned, your feet will feel dry and fresh every time you step out for a run – no matter the conditions! The Swoosh has stepped up its game this winter, bringin’ classic Nike style and performance that’s ready to take on the elements – keepin’ your shoe game on point, all year round!